A mama bird poses watchfully over her home. Expertly applied contours and colors, each showcasing the artistry behind this lovely natural rendering, are the details that set this warmer apart. 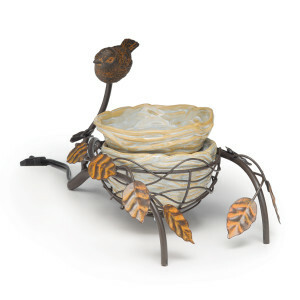 Bird Nest Scentsy Warmer is 6″ tall and uses a warming plate to gently warm your Scentsy bar refill. Scentsy Candle Warmers are the flagship product of Scentsy fragrance brand. Our unique system uses a low-watt light bulb with a dish, or a warming plate, to gently warm the Scentsy wickless candle bars. By melting our wax at a low temperature, we maximize the strength of a Scentsy bar and the life of the scent. Scentsy Candle bars are never “burned” because they are wickless. Each candle bar will last up to 80 hours of “on” time. 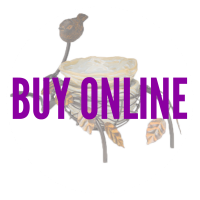 Shop for Scentsy Candle Warmers and have your products direct shipped to your door.